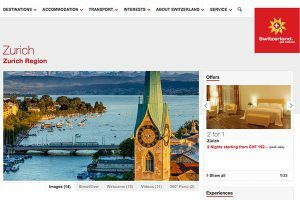 Visit Zurich – Discover Switzerland. Sightseeing: there are numerous sights in the city of Zurich. You find architecture highlights, historical squares, streets and districts, churches, artworks and lots more. Lake Zurich, Niederdorf (old town), Grossmünster or Bahnhofstrasse: there is a lot to discover in Zurich. 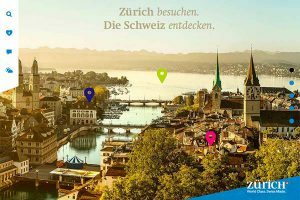 Going out: there are many restaurants, pubs and bars rich in tradition around the city center and also some fashionable ones in Zurich-West.